Creators of A Smarties Book™ series health education picture books. Dedicated to increasing health literacy. A picture book a day keeps the doctor away! 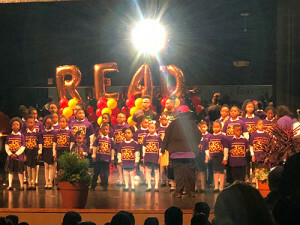 Congratulations to Dr. Charissa Govan for fabulously coordinating the 2018 Annual African American Read In at Billy E. Dade Middle school in Dallas Texas. Children from the Dallas Independent School District participated in the event. Eager readers were inspired through motivational speeches, skits and music to empower their lives through literature. 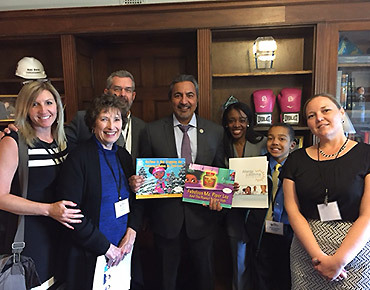 It was quite an honor for me to be invited and to share A Smarties Book series at such a wondrous activity. Piper Lee and I joined Allergy & Asthma Network Day on Capitol Hill to advocate for people who suffer with allergy and asthma. This was the 20th annual event for the Network. I was an incredible honor to sit down and meet with members of congress and their staff. I received an opportunity to sit down with Representative Ami Bera and discuss the issues that lie before us. He was very generous with his time and understands the challenges healthcare faces. 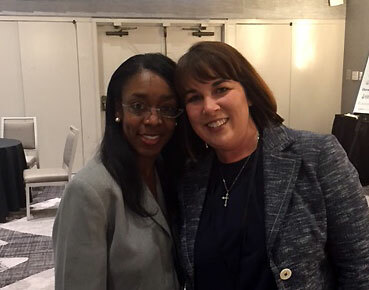 Trish Lawson, President & CEO of AllergyBright Communities joined forces with us during our meetings. 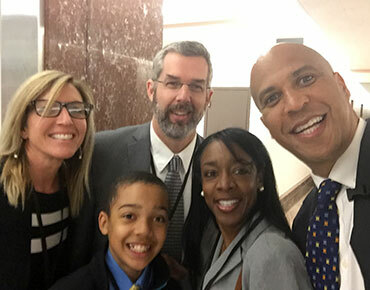 Our encounter with Senator Cory Booker was an extra treat. Throughout the weeks I will post letters from my patients that I shared with members of Congress. Thank you Allergy & Asthma Network for inviting me to participate in this wonderful and much needed activity. 2015 & 2016 Academics’ Choice Smart Book Award! 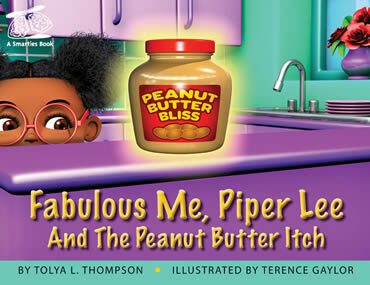 Savor Publishing House is pleased to announce that Asthma Is Not Stopping Me, Featuring Fabulous Me, Piper Lee! has won the Academics’ Choice Smart Book Award for 2016, a prestigious seal of educational quality, reserved only for the best mind-building media and toys. This adds to the already received Academics’ Choice Smart Book Award for 2015, and the 2016 & 2015 Creative Child Book of the Year Award, from Creative Child Magazine. 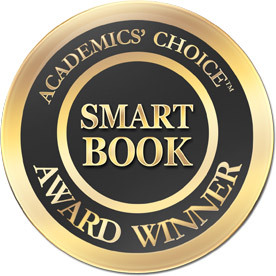 The independent Academics’ Choice Awards program and its seal of excellence are recognized worldwide by consumers and educational institutions as a mark of genuinely effective learning tools that stimulate the mind, and provide potential for the student to fully develop higher order thinking skills. The Academics' Choice Advisory Board consists of leading thinkers and graduates from Princeton, Harvard, George Washington University, and other reputable educational institutions. Product-appropriate volunteer reviewers, combined with the brainpower of the Board, determine the coveted winners. Entries are judged by category, subject area, and grade level, and evaluated based on standardized criteria rooted in constructivist learning theory. Academics' Choice™ helps consumers find exceptional brain-boosting material. Academics’ Choice is the only international awards program designed to bring increased recognition to publishers, manufacturers, independent authors and developers that aim to stimulate cognitive development. A volunteer panel of product-appropriate judges, including parents, educators, scientists, artists, doctors, nurses, librarians, students and children, evaluate submissions based on educational benefits such as higher-order thinking skills, character building, creative play, durability and originality. Only the genuine “mind-builders” are recognized with the coveted Academics’ Choice Award™. Coveted Purple Dragonfly Book Award!! 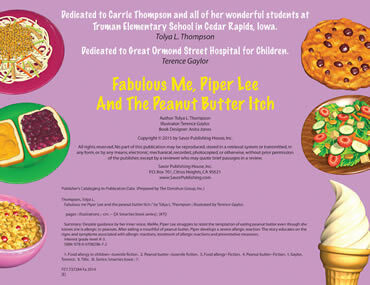 The judges of the Purple Dragonfly Book Awards contest, which recognizes excellence in children’s literature, have spoken, and Grand Prize Winner is Fabulous Me, Piper Lee and the Peanut Butter Itch by Tolya L. Thompson, illustrated by Terence Gaylor. Check out our recent tip in our series of fabulous health tips. Check back in often as we will be updating these regularly. Awareness usually comes in the form of tragedy and the effort to make change is fueled by heartbreak. This article however, does the unimaginable. 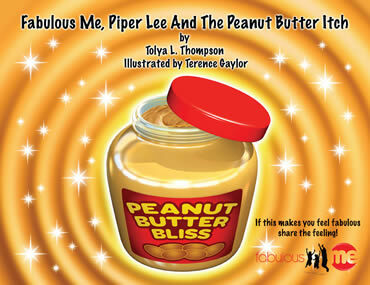 Fabulous Me, Piper Lee and The Peanut Butter Itch has been officially released! 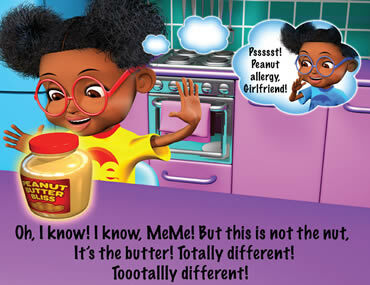 Creators of A Smarties Book® series are proud to announce that Fabulous Me, Piper Lee and The Peanut Butter Itch has been officially released! 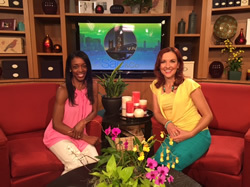 To help us kick things off and spread awareness on food allergies, News10 in Sacramento featured author, Tolya L. Thompson on their program Sac&Co. May 1, 2015. The book will arrive in May in commemoration of Allergy Awareness Month. 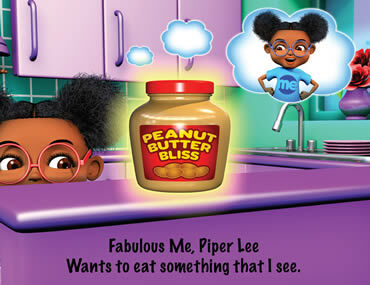 Fabulous Me, Piper Lee and The Peanut Butter Itch is the first release in a new line of picture books in A Smarties Book® series featuring Piper Lee. 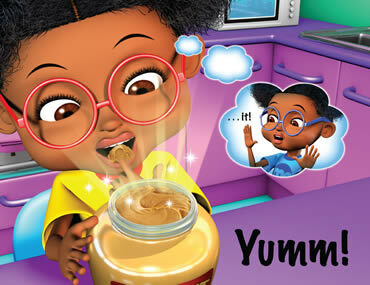 Despite the peanut allergy warning from her inner voice, MeMe, the rich and creamy taste of peanut butter is just too much for the Fabulous Piper Lee to resist. A mouth full of heavenly delight soon turns into a hip scratching, lip swelling catastrophe. Yes, girlfriend develops one wicked allergic reaction. Get wise to the facts of food allergies and discover how to stay healthy, fabulous and emergency room free. 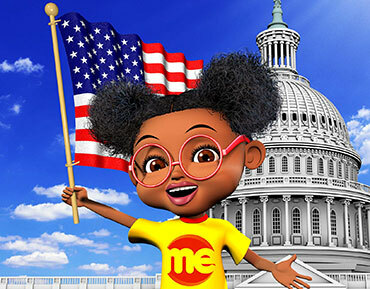 The Fabulous Me campaign features entertaining videos and interactive pictures books that have been created and reviewed by some of the very best healthcare providers and literacy specialists. This basic and easy to understand method doubles our chances of providing you with an educational experience you will remember and use. This in turn enhances your ability to care for yourself and make wise healthcare choices for your family. As the healthcare system evolves and grows, it’s important for you to learn how to use it effectively. We can help. 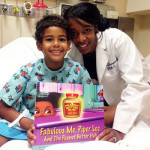 The Fabulous Me Campaign is all about YOU and your family staying Healthy, Fabulous and ER free! Sign up today to follow us and receive our latest news and discounts.